On March 15, employees and Top Management representatives from Luxoft and Excelian met for the third year in a row at Luxoft's office in New York City to work with the “Bottomless Closet” Foundation and help a group of disadvantaged women transition from unemployment and public assistance to work. At Luxoft, increasing gender equality, helping more women get back into the job market, and encouraging women to join the IT industry are some of our biggest goals. Acting as entrepreneurs and mentors gives us a unique chance to share the skills and knowledge our guests are looking for, in order to build their own career paths. Our recent activities have promoted multiple opportunities for women, and we are very excited to share stories of how our leaders planned their own careers, their thoughts on what it takes to become a successful leader, the impact of their positions in our organization, and how their decisions contribute to the running of our business. 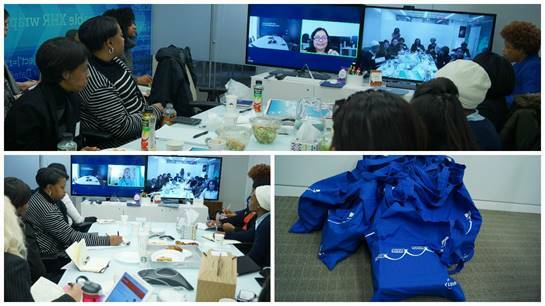 This unique meeting featured powerful women within our organization acting as role models, giving them a chance to motivate, encourage, and mentor. Our guests had the chance to learn what a well-organized recruitment process looks like, confront their own fears and uncertainty regarding interviews, learn self-presentation methods, and familiarize themselves with the basic rules of the recruitment process. We are proud to be able to host this event together with “Bottomless Closet” and empower women to take charge of their future!